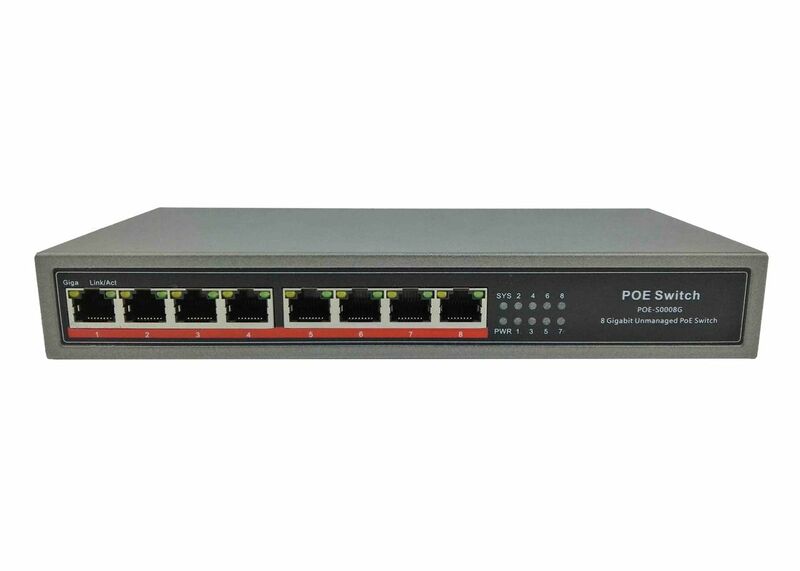 POE-S0008G is a 8 port Gigabit unmanaged PoE Switch, conforming to IEEE802.3af/at, with 7 units of Powered Device (PD) such as IP Camera, VoIP Phone, Wireless AP/Routers etc. working together at the same time powered by 120W external power supply with input voltage range of AC100-240V, the 8th port is specially used as uplink and any of these ports power output is max. 30W. 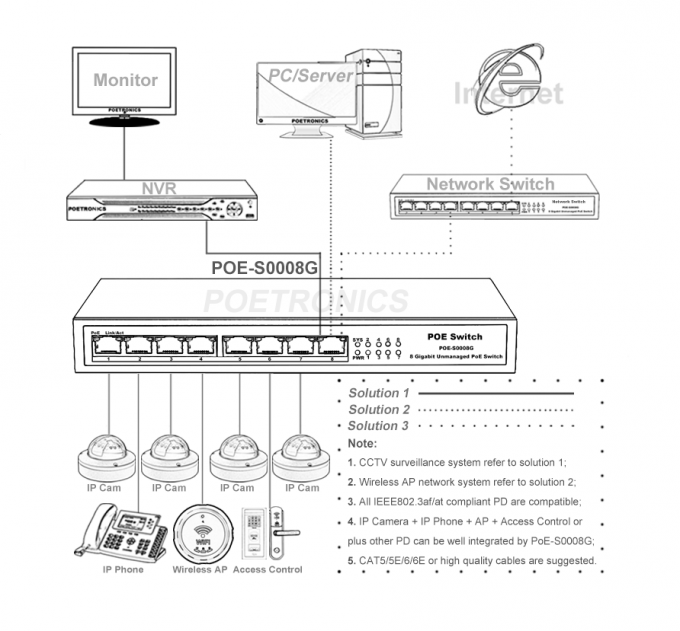 PoE working status can be read and analyzed through corresponding LED indicators.